Flash Fiction for for Aspiring Writers is a writing challenge hosted by Priceless Joy. It asks us to write a piece of fiction from the photo prompt provided in around 100-150 words – give or take 25 words. It encourages us to comment, constructively, on other entries, so supporting each other’s writing. If you’d like to join in with this challenge, follow the above link to see what to do. The challenge runs from Tuesday to Tuesday every week. Jessie stifled a giggle at the thought of the crusty housekeeper chatting with influential people whilst the mistress entertained her imaginary ‘friends’ in the garden. A year had passed since the carriage had overturned, leaving Lady Howarth with the mind of a child. After the meeting tonight, the mistress would be admitted to the asylum – rendering the wealthy Lord Howarth quite free: as Jessie had planned the day she removed the pin from the carriage wheel. 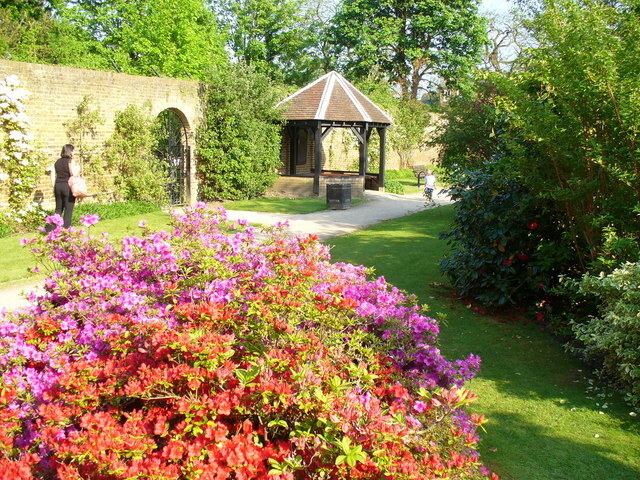 Perhaps one of the most famous walled gardens in literature features in the novel, ‘The Secret Garden’. I read this story many years ago and can remember little about it – so perhaps a re-read is due. But I do remember the main character: a young girl (a child) finding her way into an abandoned and totally overgrown walled garden and tending to it – and it completely changed her life, easing the misery of her loveless upbringing. 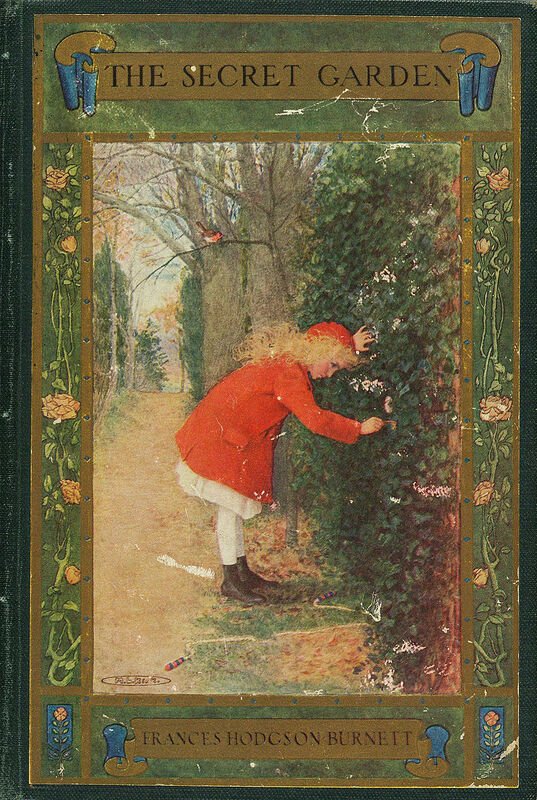 The Secret Garden (cover) by Frances Hodgson Burnett, 1849-1924. Public Domain. Essentially, the walled garden was something that many big and affluent houses had, mostly for growing fruit and vegetables for the use of the family living there. Some we’ve visited still grow really old varieties no longer heard of the shops or markets of today. It’s interesting to see how some of these old varieties differ to the modern ones. Sections of the gardens were generally devoted to flower growing too, to adorn the halls and stately rooms and impress the important guests. “A walled garden is a garden enclosed by high walls for horticultural rather than security purposes, although originally all gardens may have been enclosed for protection from animal or human intruders. In temperate climates the essential function of the walls surrounding a walled garden is to shelter the garden from wind and frost, though they may also serve a decorative purpose”. Walled Garden ‘hypocaust’ system, (Hollow wall). Author: Rosser. Public Domain. The hollow wall idea involves a hollow wall with openings in the stonework on the side facing the garden. 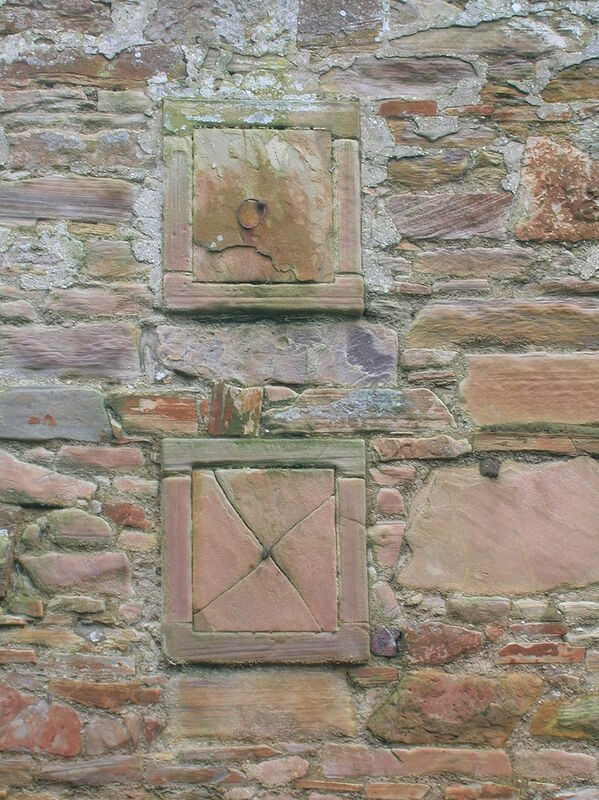 Fires could be lit inside the wall to provide heat to protect the fruit growing against the wall, such as espaliers. Heat would escape into the garden through these openings. Smoke from the fires would be directed upwards through chimneys or flues. I would have liked to have written about the dreadful asylums, which were still in existence until the 1960s, or even later. Perhaps I’ll do that another time . . .
Oh my, that Jessie turned out to be much more wicked than I realized at first glance! Nice twist there. I’m glad you wrote about hypocaust garden walls instead of asylums. I’d much rather picture dear Lady Howarth in a garden than in one of those. It’s a sad fact that asylums were not nice places years ago, Joy. There have been many cases of husbands having their wives ‘committed’ just because they wanted them out of the way. It was easy for rich, powerful men to make up stories about erratic behaviour. Jessie is indeed very wicked and I hope she is found out. I wonder if Mr. Howarth is aware of Jessie’s wicked tricks? Wonderful story Millie! I really enjoyed reading it and I enjoyed reading about the beautiful English gardens. 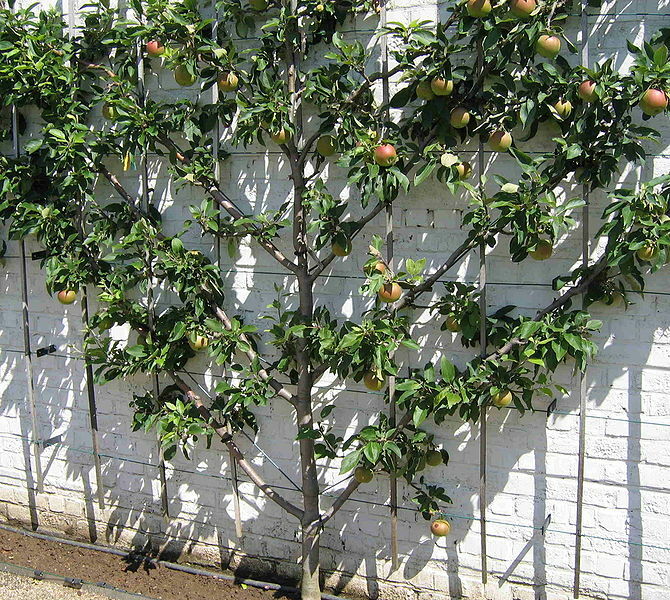 I had never heard of espaliered fruit so that was very interesting along with the photo of one. I also enjoyed hearing about the uses of the gardens in times past. Great story and footnotes! Thank you for participating in FFfAW challenge! (Oh, and I need to reread The Secret Garden too). LOL! I have one of those lists too. They way Mrs Howarth reacted on Jessie’s call is typical of those mentally ill people of those times. Jessie is not worth being such a lovely lady’s maid. I also don’t mr Howarth because I am sure he is the one that caused Jessie to do things like that. You’ve done a good job of giving all the information needed to finish of a story in as little words as you did. Twist and all. Interesting information about walled gardens too. I have read The Secret Garden many years back. Thanks, Ineke. I don’t think Lord Howarth is all that innocent, either. As I said in my ‘extra bit’, it was quite easy for wealthy men to have unwanted wives committed in order to get them out of the way. I read The Secret Garden when I was at school myself, so don’t remember all the detail. If I find time, I’ll have a re-read. They made it into a film, I think. I know in those days the wealthy men had lots of time to have an extra love affair and many ladies who would join in the fun. Ooh, a seemingly harmless scene turns dark as you reveal evil Jessie’s machinations. Very good! Positively Machiavellian, Millie. You’ve managed to take a tranquil, color-splotched garden and turn it into the locus of iniquitous deeds. Perhaps espaliers have this effect on you, but more importantly, the reader is treated to a satisfyingly surprising story. Yes, blame the espaliers! Perhaps I was just feeling like writing something decidedly Machiavellian last night. I have to admit, the story was going to head somewhere quite different when I started writing – but then, I decided it sounded plain boring. I bet you’ve grown espaliers, haven’t you? Although I know they wouldn’t have been ‘deciduous’ fruit trees. 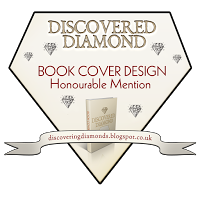 Thank you for finding my story “satisfyingly surprising”. Your weather sounds wonderful! Autumn, that beautiful season between hot Summer and Freezing Winter. Yes, it’s always been my favourite season, although spring is right on its tail. I suppose all seasons are wonderful in their own way. Hard to beat Spring, I agree. Off goes Winter while we welcome in warmer weather and gardening time. Around here, though, Spring can bring very dangerous, damaging storms. I hope you move forward on publishing your FF after you put Alfred and Eadwulf to bed. It will need a bit of thought as to how to set the book out and so on. I ‘ve never actually seen a book of flash fiction stories. I’d have to find suitable illustrations, too. Any way, thank you for the suggestion. I know of one other blogger who is creating her book at the moment. That might give me some ideas. Have you never thought of joining in with these challenges? I suppose you’re being sensible in not doing while you’re writing your book. I enjoy reading FF but never gave any serious thought to trying my hand at writing it. The wips I have now take all my writing time and energy. Well, now you’ve done it. Not only did I enjoy your story but the information about walled gardens now makes me want o have one. We do not have the room at present but I know my wife will agree (she’s always wanted a “proper” garden rather than the few bushes and flowers we’ve planted in our yard)! Thanks, Millie, for a great read! I told my wife last night and she thought it was a perfect idea. I enjoyed reading about the walled gardens, and of course the Burnett cover is darling. By the way, you’ve been chosen as one of today’s nine blogs in That’s So Jacob’s Ninth Month Blog Challenge (http://www.thatssojacob.wordpress.com)! I challenge you to find nine blogs you find interesting and give them a comment to brighten their day…well, eight other blogs and mine 🙂 Copy this message in your comment and enjoy your new blog friends! I agree, it seems an excessive amount of ‘pampering’ when fruit bushes usually manage quite well all on their own. 😀 Thank you for that great comment. Wow!! Lovely story Millie, that Jessie is such a horrible person. Poor lady Howarth, I hope life treats her better where she’s going. Aw, thank you, Chioma. I doubt that Lady Howarth’s life will be pleasant in an asylum. I’ll do a post about such places sometime. I know Millie, but am just hoping for her. Her life seems to have been riddled by lots of betrayals. LOL! at it sounded boring. I hate the fact that men could get away with so much back then. They could, because women had no rights over property or anything. After marriage, everything that had belonged to a woman became her husbands – even if she’d been the one who owned the property previously. This is the ‘upper classes’ II’m talking about, but even working class women had few rights. I’m so glad that times have changed – in this and similar countries, anyway. It’s somewhat still the same in Nigeria, but it’s gradually changing and I like that it’s taking time I earnestly hope we find the right balance. The asylums were places that needed to go. The treatments inside were more than harsh. Thankfully, medical advances have brought new ways of dealing with mental illness. As for Nigeria (thinking here about your post) sometimes losing traditions is like losing part of who we are. I agree that life and technology etc. has to move forward, but I love to see our old buildings and retain some of our old customs. Nigerian culture is so rich and vibrant, with a distinct tribal culture which I would hate to think is in danger of being lost. Perhaps it’s inevitable, though I’m sure you know a lot more that I do about that. Improvements in education and medicine, transport and general infrastructure etc. are always good. As you say, finding a balance is what is needed. Very true Millie, some things should be kept and some things will be lost inevitably. Jessie seemed so innocent. How vile she is. Great story. Great twist, Millie. :) I enjoyed reading the post on walled garden definitely better than mental asylums. Who can forget those horrifying places of the past? The secret garden seems like an interesting book. Thanks, Suganiya. I read The Secret Garden when I was about twelve, so I think of it as a children’s book. But I know it can be enjoyed by older people. It was also made into a film. Even the word ‘asylum’ makes me shudder. Yet they survived well into the 1960s, perhaps even later in some places. Oh my gawd – Lady Howarth isn’t going to win either way, is she? “‘Monsieur Monet tells me that even Queen Victoria likes my work …’” sad but quite an amusing conversation. As usual, your background information was so interesting. It brought to mind the courtyards of New Orleans – where I lived for many years. Some of the gardens are beautiful! 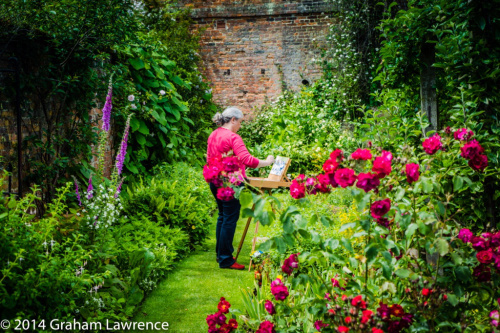 I think walled garden are fascinating and I have only ever seen one in person. Love that extra information on the flash fiction, which I have to say, was a great write! Nothing like a good case of fictional pre-meditated murder!